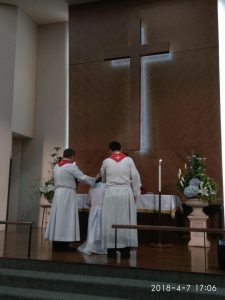 Pastor Low Kim Cheng was ordained into the Public Ministry of the Word and Sacraments of Lutheran Church in Singapore by Bishop Terry Kee at Yishun Christian Church (Lutheran) on 7th April 2018. 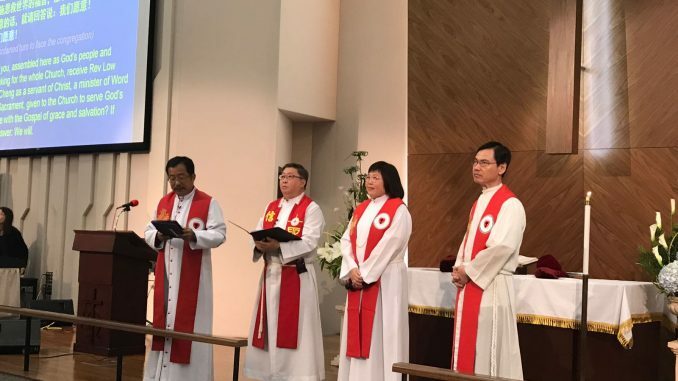 Many church leaders and representatives from LCS congregations and other churches, relatives and friends attended the ordination service. Rev & Mrs Michael Shen the former principal, as well as many alumni from Singapore Bible College.